Breaching the Blue exists to help connect the dots for a better understanding of global marine conservation solutions, or to borrow from Carl Sagan, to better protect this “pale blue dot” we call home. It is run by Mark Gibson, a marine conservationist and current doctoral student with the Conservation Criminology Lab at Michigan State University (MSU). Mark holds an MA in International Economics and Environmental Policy from Johns Hopkins SAIS, and has engaged in work spanning the field of international development, from investigating human rights atrocities in Guatemala to resettling refugees in central Pennsylvania to promoting the sustainable use of EU deep-sea fisheries. 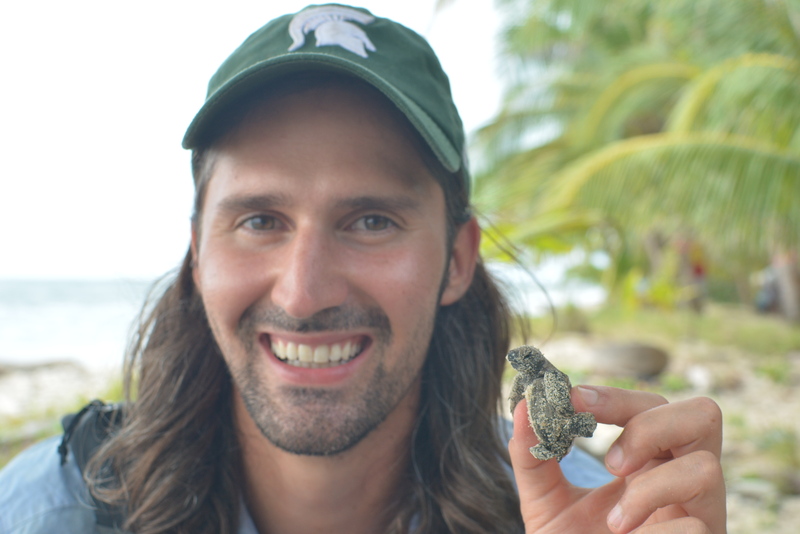 Prior to coming to MSU, Mark supported a project to pilot the use of rights-based management in Latin American fisheries with the World Wildlife Fund. Nowadays, Mark divides his time between PhD research, assisting fisheries management agencies in Latin America, and collaborating with other conservation professionals as a EWCL fellow. Outside of work, Mark enjoys learning new languages (currently French and Portuguese) and practicing the art of freediving. For questions or comments, you can reach Mark at breachingblue@gmail.com.